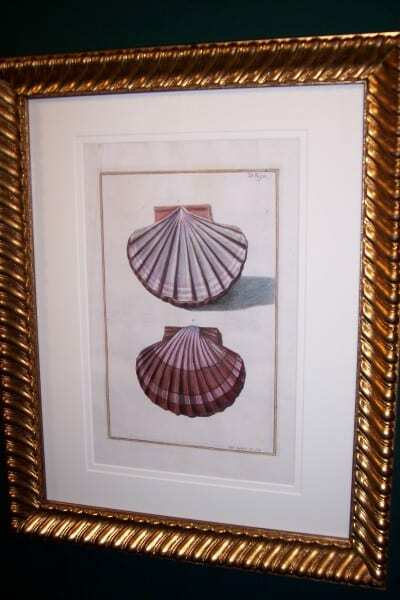 Are you hunting for authentic antique lithographs and hand colored engravings of sea shells? 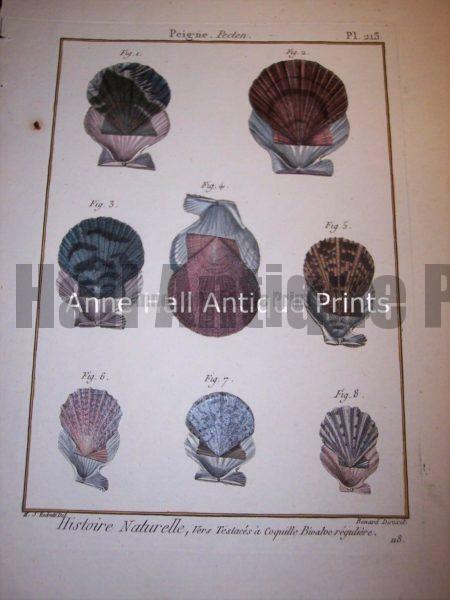 At Anne Hall Antique Prints, we will help you find the right decor. 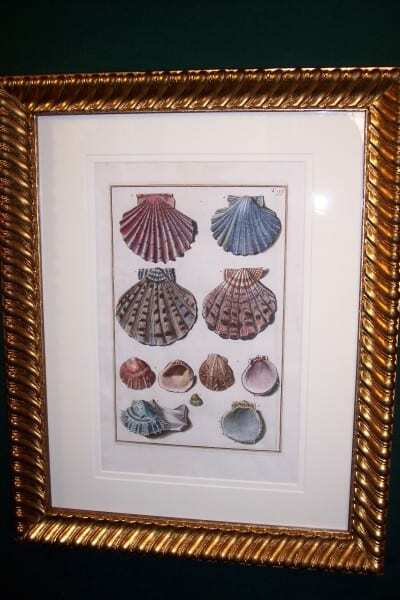 Sea Shells: Set of 6 Framed George Wolfgang Knorr Hand Colored Engravings. c.1764 George Wolfgang Knorr. 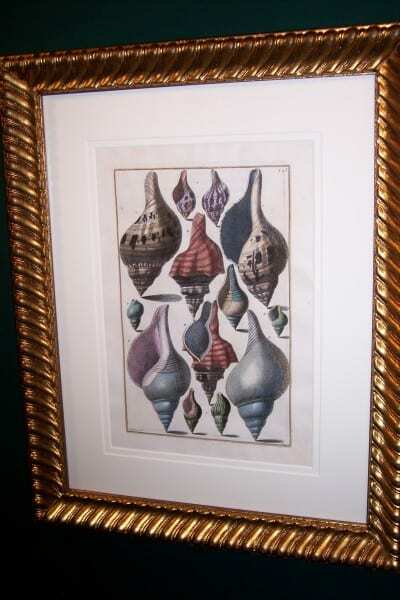 This magnificent shell print was product circa 1764 in Nurnberg, Germany by George Wolfgang Knorr. It comes from what is considered one of the rarest works on shells ever produced, Vernugen der Augen un des Gemuth. Each antique print is framed with conservation materials including double rag mats and UV glass. 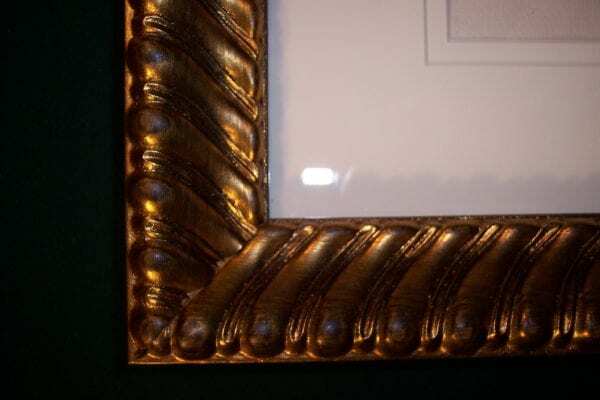 We use the highest quality products when framing any of our antique prints. Measuring in at 15 x 18″ (Print dimensions: 6.75″ x 8.5″) the collection would be well suited for a 9′ area or above a sofa. The set of six is priced at $1750. shipped, insured within the continental US. Knorr Sea Shells Print Tab XXII, c.1764. 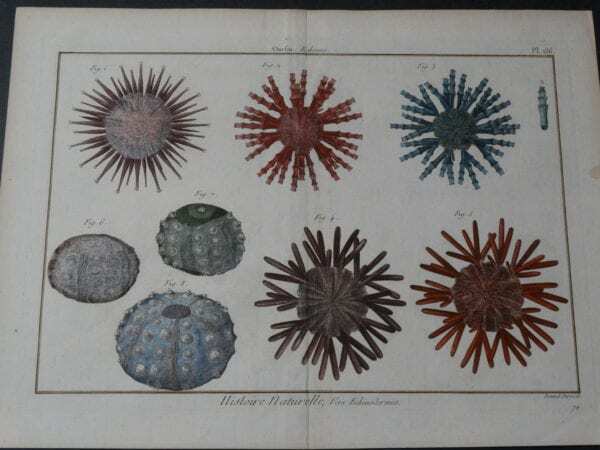 Knorr Sea Shells Print Tab XXVII, c.1764. Knorr Shell Print Tab XXIX, c.1764. Knorr Shell Print Tab XXVI, c.1764. Knorr Shell Print Tab XXIII, c.1764. Knorr Shells Print Tab XXI, c.1764. 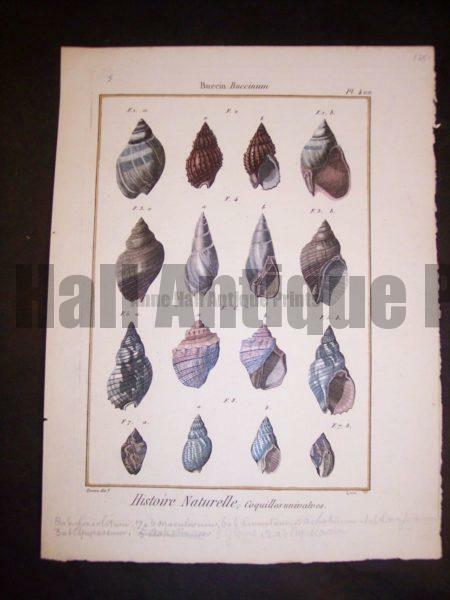 These rare antique engravings of sea shells date to 1790-1810, they are hand colored copperplate engravings which were produced in France. 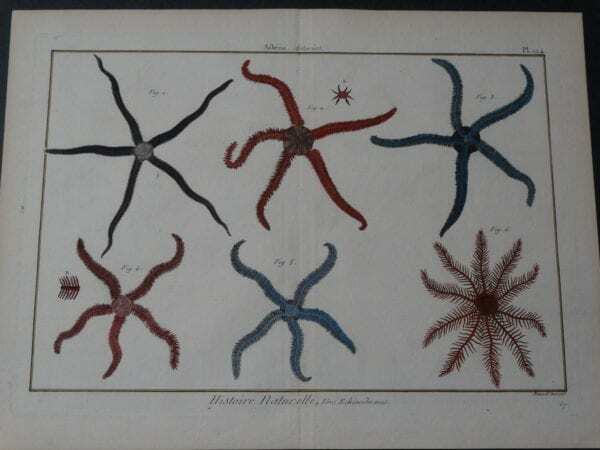 Special foldouts actual size 11 3/4 x 15 1/2″ with issue folds as they were in an encyclopedic series on sealife. See Fish! See Trout & Salmon! Sea Shells! 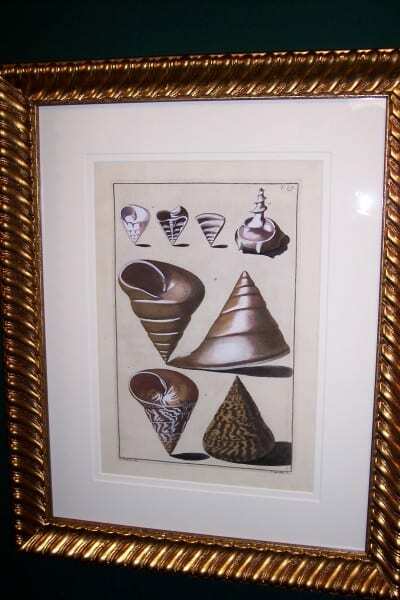 Rare 18th Century Hand Colored Engravings by Gualtieri From 1742! Sea Shells! 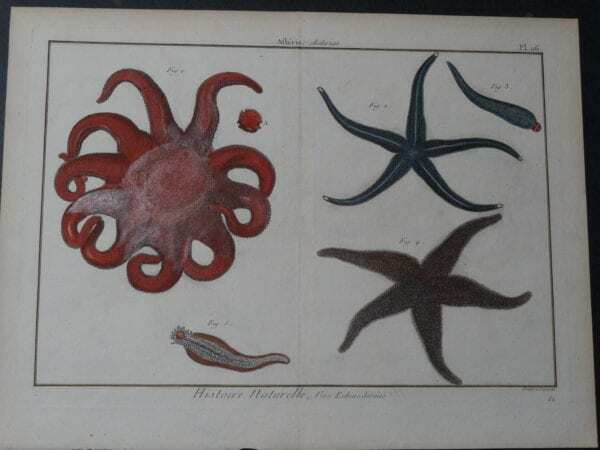 Antique Lamarck Hand Colored Engravings from 1779-1820. Shells! 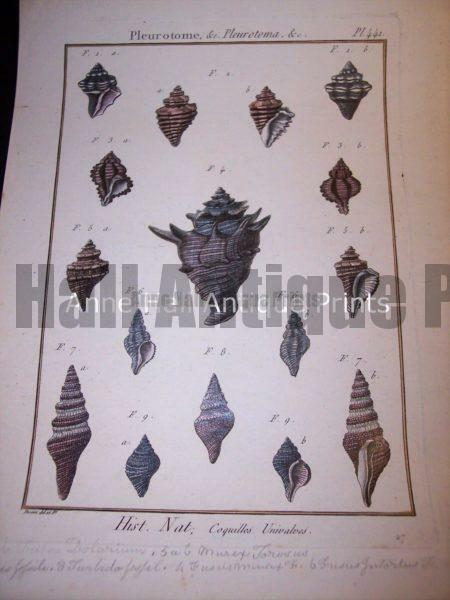 These old engravings of sea shells date from 1779 to 1820. They were published by Lamarck in France. Numerous well known artists worked on this series including Marachel and PJ Redoute. 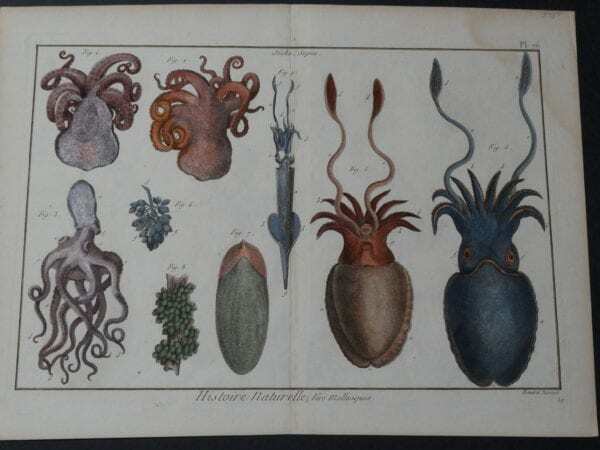 They are stunning old copper plate engravings with modern water colors. They range in price from $125. to $225. each. and we do offer discounts on sets. Each print measures about 8×11″ and are in very good condition. Click here to contact us. 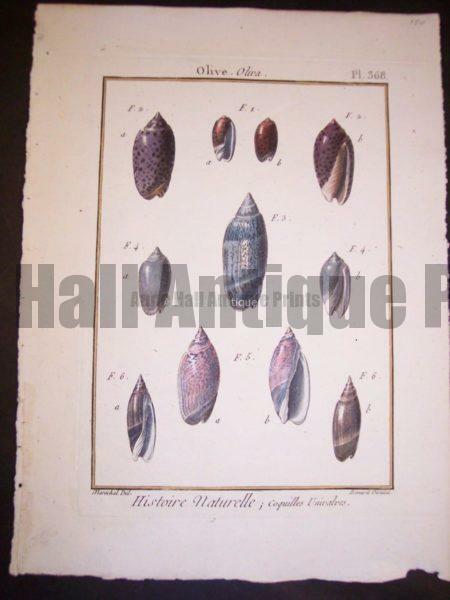 Lamarck sea shells Hand colored copper plate engraving from 1779-1820. 94171 185. 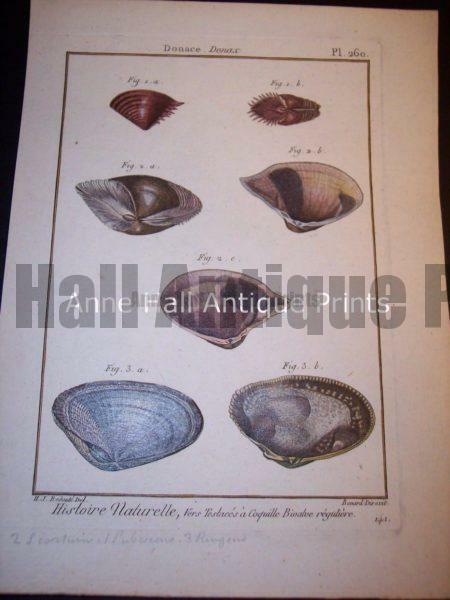 Lamarck sea shells Hand colored copper plate engraving from 1779-1820. 9418 135. 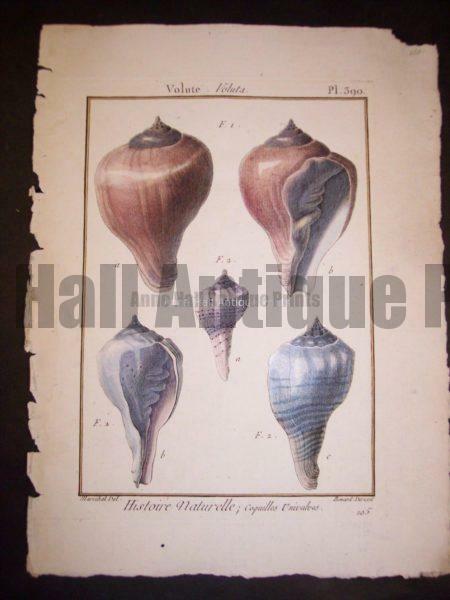 Lamarck sea shells Hand colored copper plate engraving from 1779-1820. 9419 200. 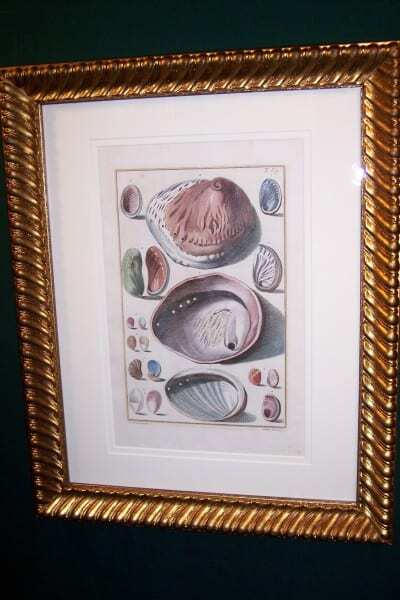 Lamarck sea shell Hand colored copper plate engraving from 1779-1820. 9420 125. 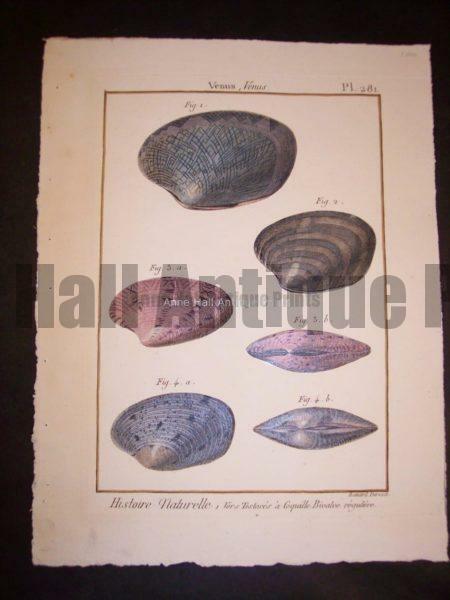 Lamarck sea shells Hand colored copper plate engraving from 1779-1820. 9421 135. 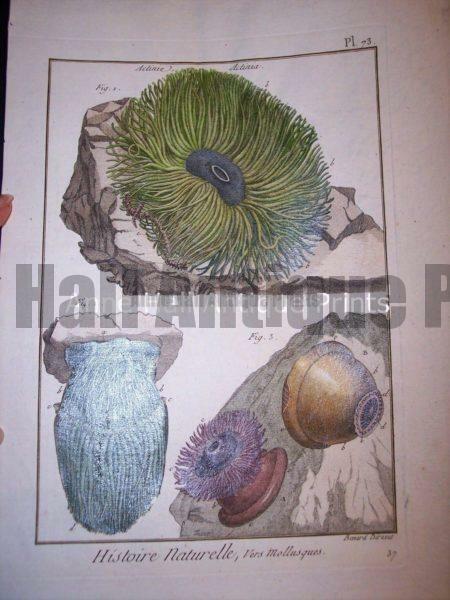 Lamarck sea shell Hand colored copper plate engraving from 1779-1820. 9422 125. 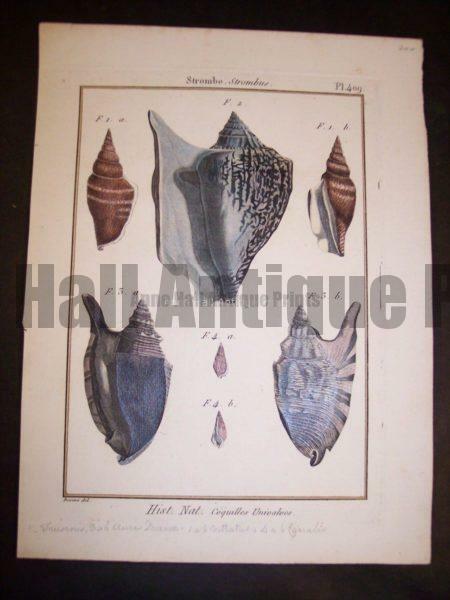 Lamarc LaMarck Sea Shell Engraving 423 125. 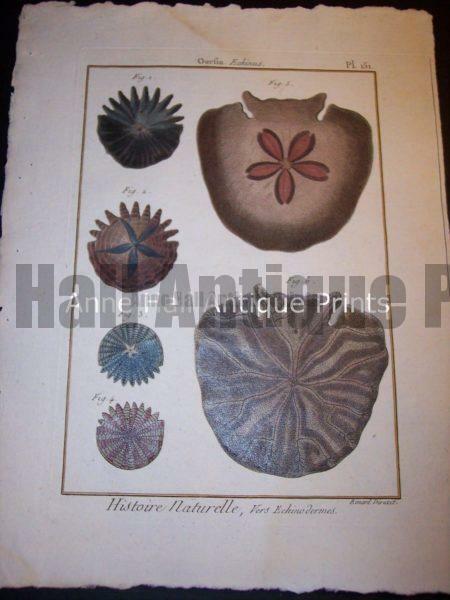 Lamarck s LaMarck Sea Shell Engraving 424 185. 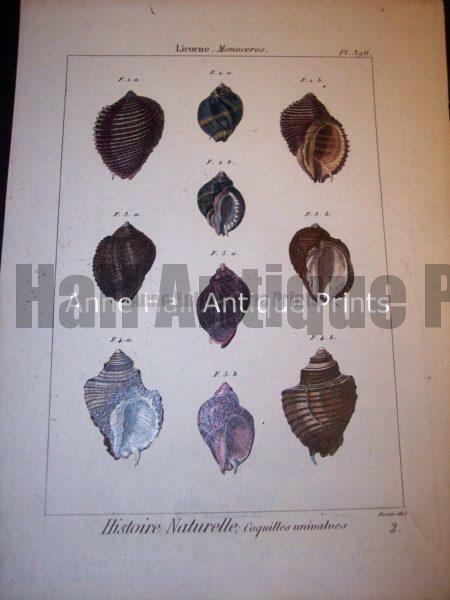 LaMarck Shell Engraving 425 125. 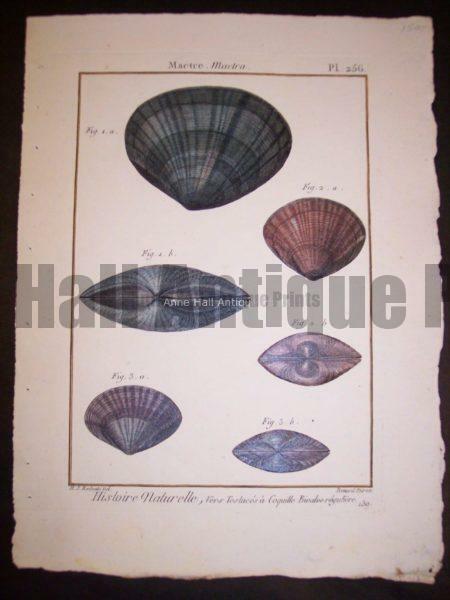 Lamarck shell engraving from 1779-1820. 9426 200. 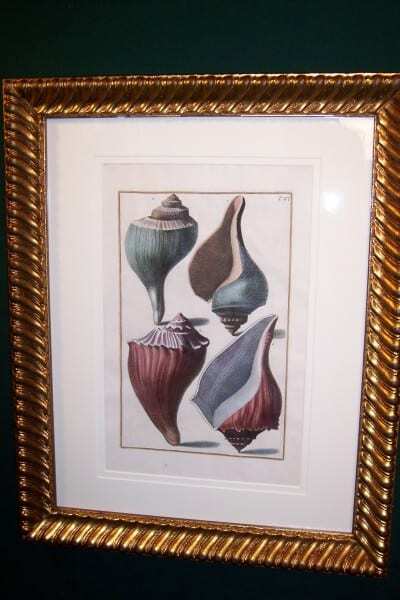 Lamarck sea shell Hand colored copper plate engraving from 1779-1820. 9428 225. 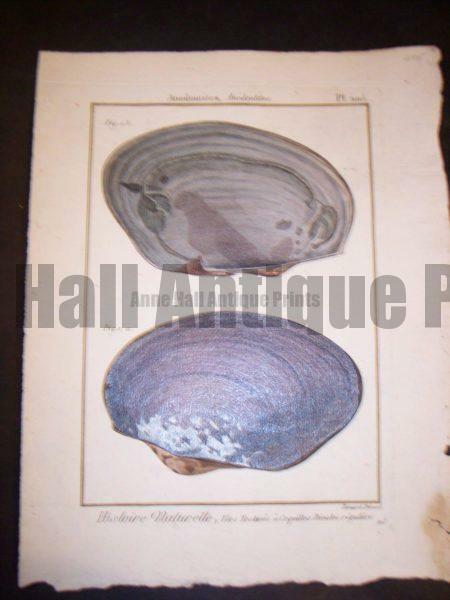 Lamarck sea shells Hand colored copper plate engraving from 1779-1820. 9429 200. 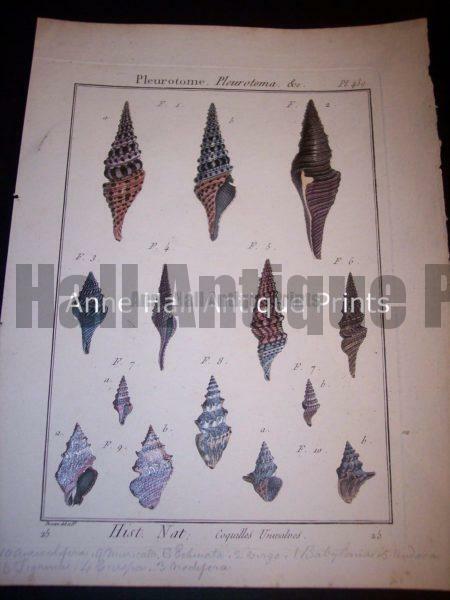 LaMarck Sea Shell Engraving 430 185. 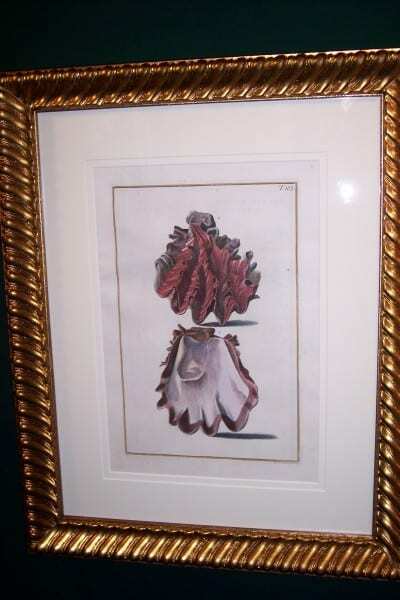 Lamarck sea shell Hand colored copper plate engraving from 1779-1820. 9431 200. 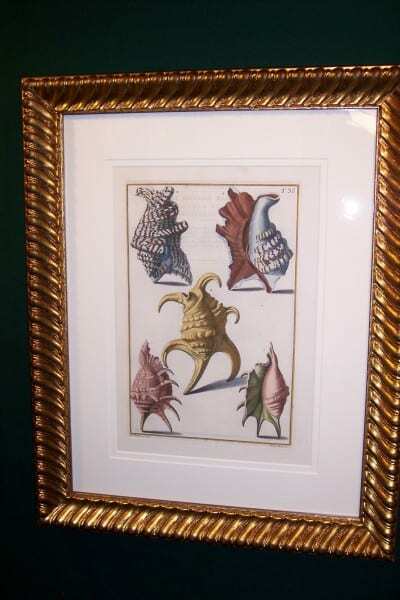 Antique Lamarck sea shell print. 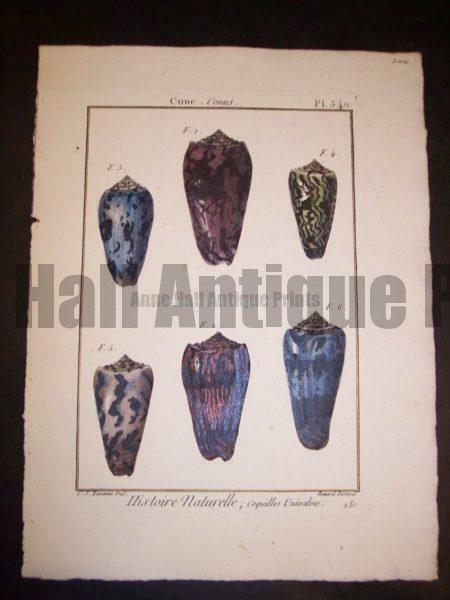 French hand colored copper plate engraving. 8888 160. 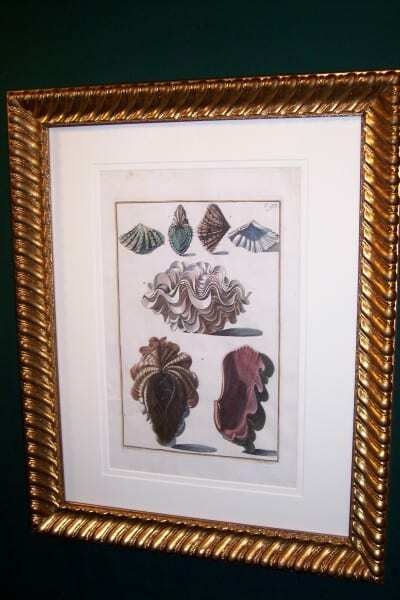 Antique Lamarck sea shell print. 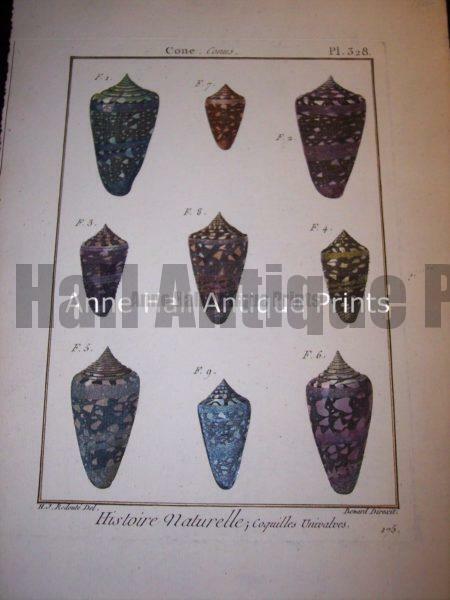 French hand colored copper plate engraving. 8887 225. Sand dollars. 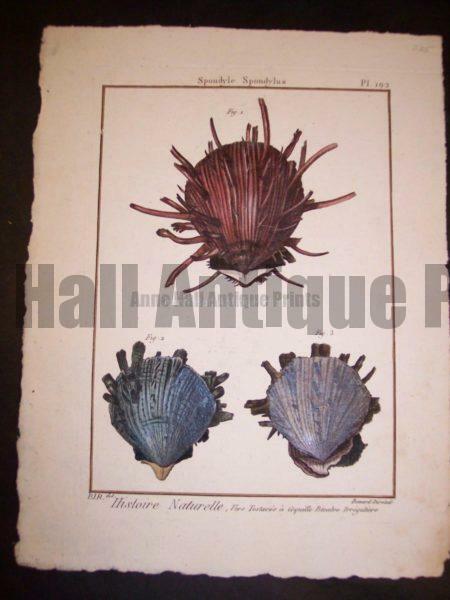 Antique Lamarck sea shell print. 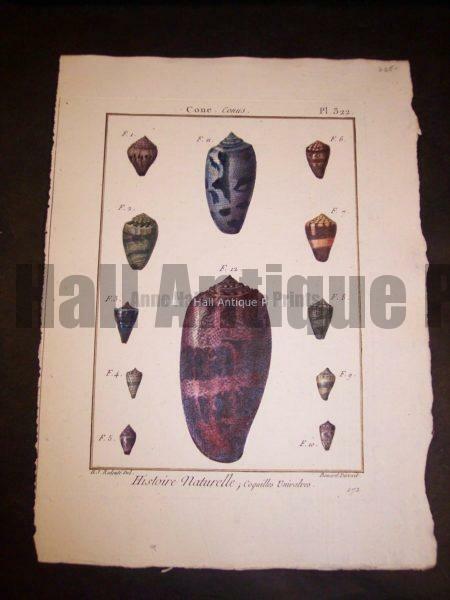 French hand colored copper plate engraving. 8886 135. 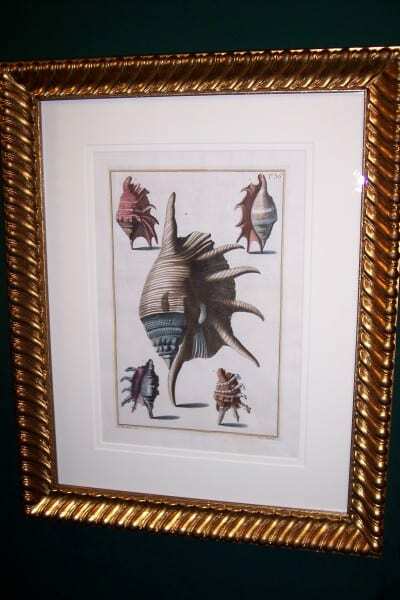 Antique Lamarck sea shell print. 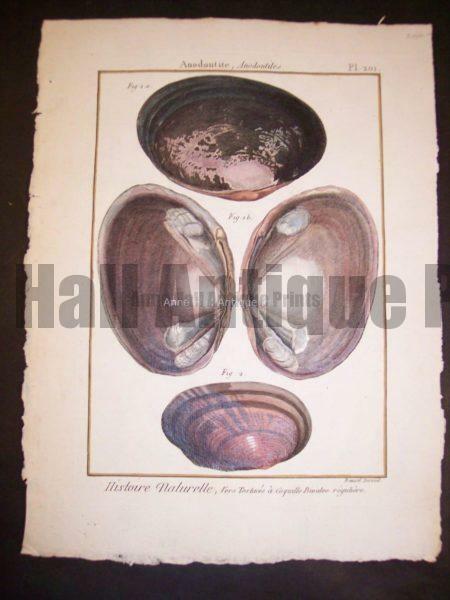 French hand colored copper plate engraving. 8885 160. 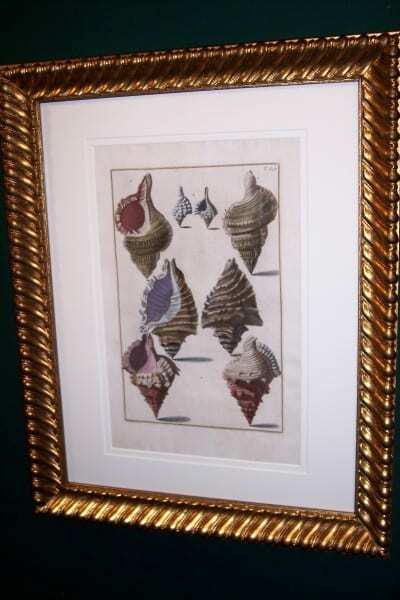 Antique Lamarck sea shell print. 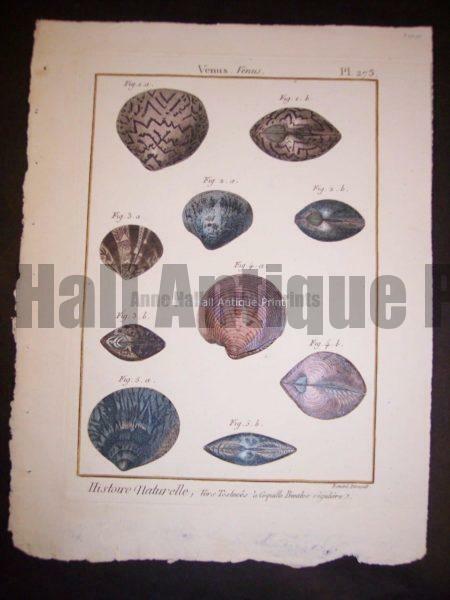 French hand colored copper plate engraving. 8884 150. 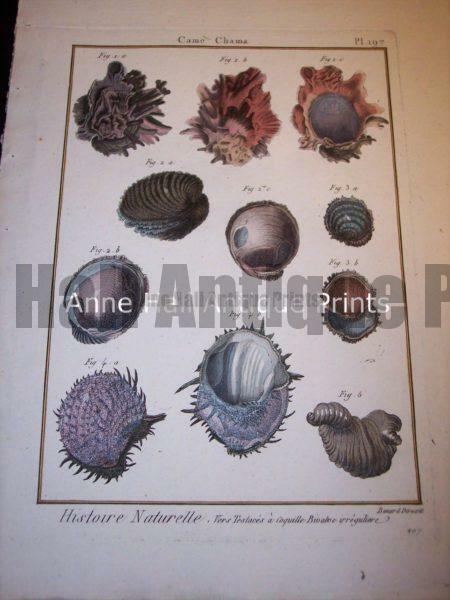 Antique Lamarck sea shell print. 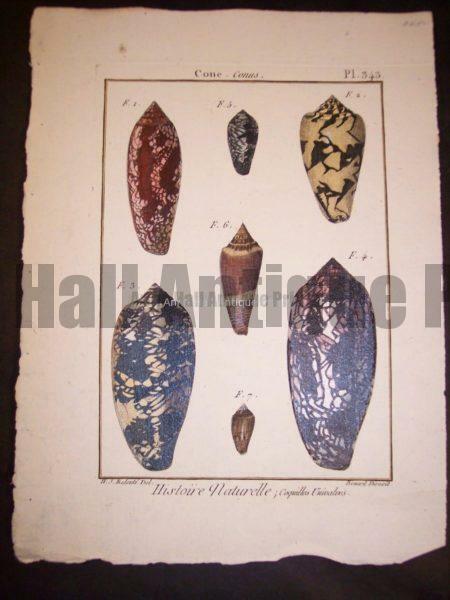 French hand colored copper plate engraving. 8883 125. 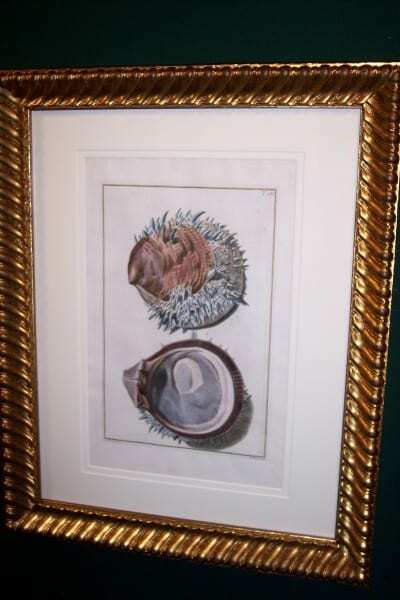 Antique Lamarck sea shell print. 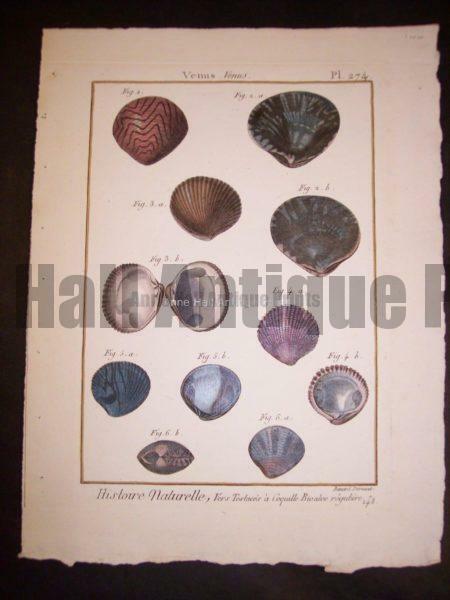 French hand colored copper plate engraving. 8882 150. 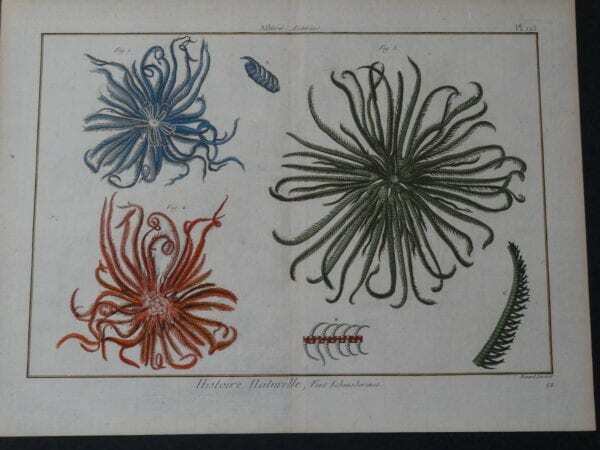 Antique Lamarck anemone print. 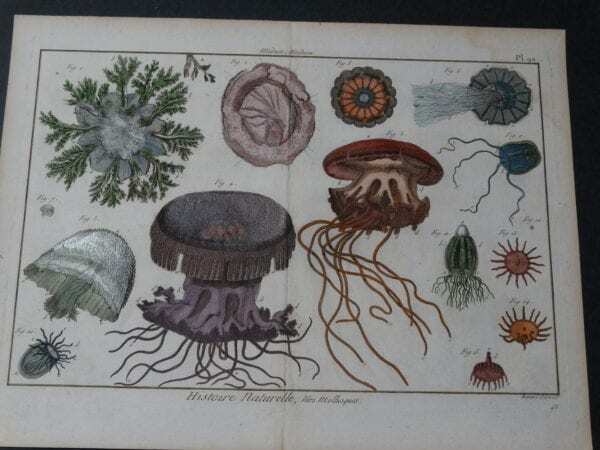 French hand colored copper plate engraving. 175. 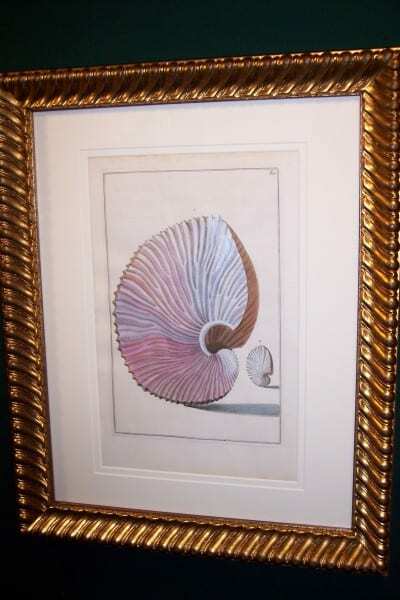 Antique Lamarck sea shell print. 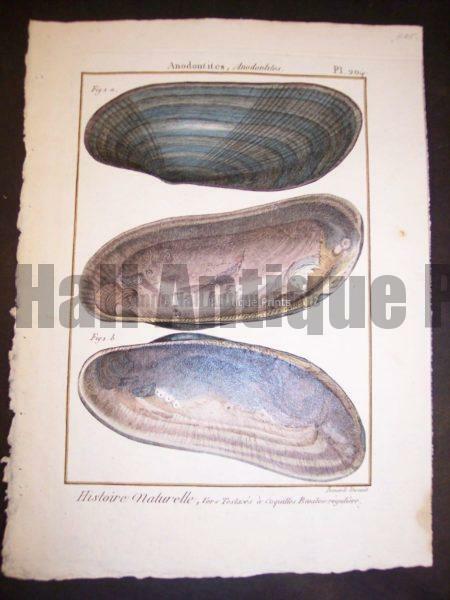 French hand colored copper plate engraving. 8880 150. 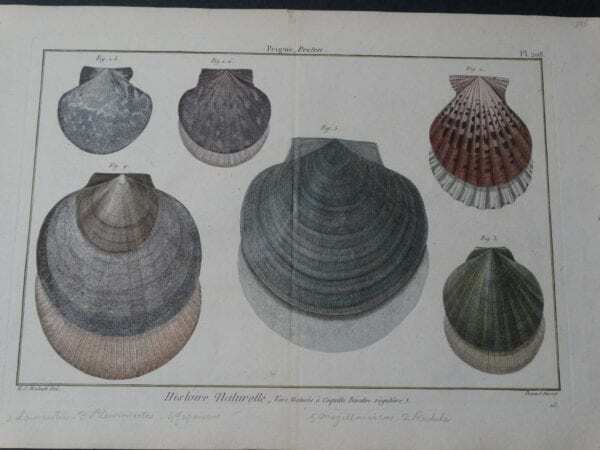 We have a large selection of old prints of sea shells, by Lamarck, Albertus Seba shell prints, and other early naturalists works on shells. Please contact us with your interest as this subject is popular at shows, and it is hard to keep a good online inventory. 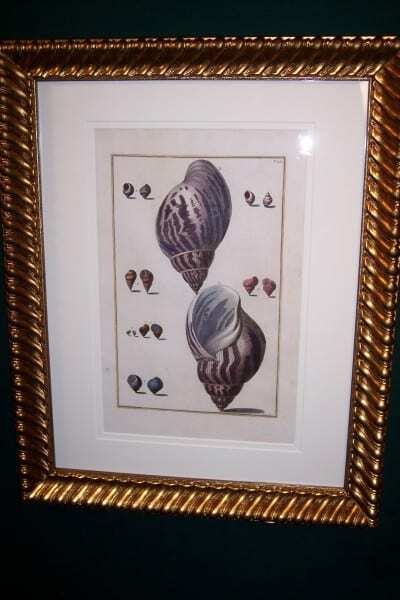 Our antique shell prints are very old sea shell engravings and lithographs, that were produced from from 1640 to 1900. We are pleased to offer our customers great service, please feel free to contact us with your specific interests.